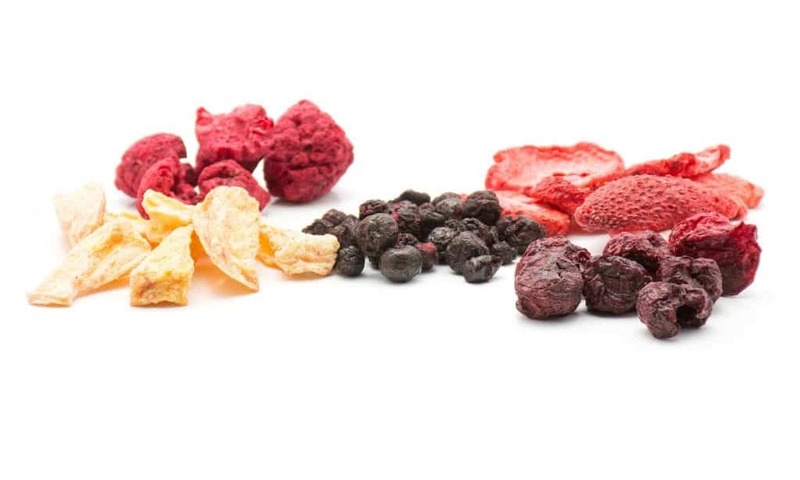 When it comes to great snack ideas, it’s hard to beat dried fruit. Especially if you’ve made losing weight or getting in better shape one of your New Year’s resolutions. Healthy snacks such as dried blueberries and dried apricots don’t have the sugar of chocolate and other candy, yet have a longer shelf life than fresh fruit. Fortunately, all it takes to make these tasty treats at home is a food dehydrator. Let’s take a look at just how easy it is to have a dry fruit snack all year round. Dry fruit is one of the best foods to bring as a snack for backpacking. 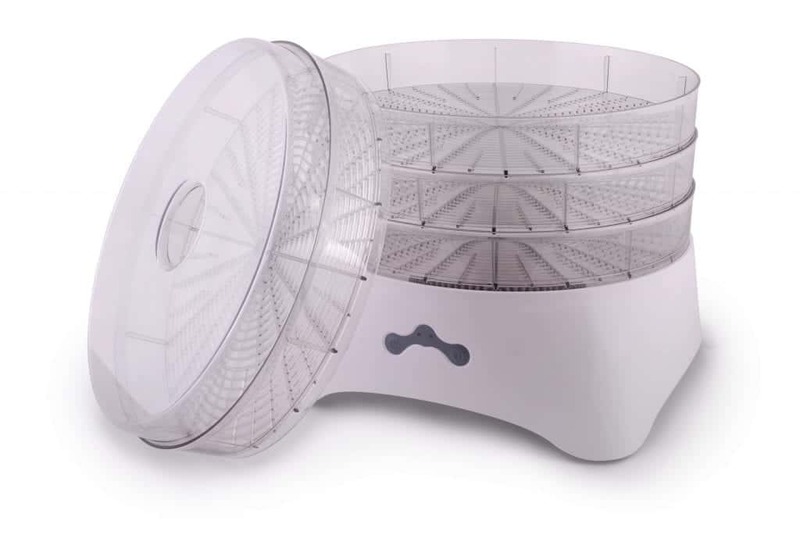 Read on to learn how to dry fruit in a dehydrator. Thoroughly wash your fruit of choice and peel it, if the peel isn’t edible. Thin-skinned citrus peels can be tasty when dried, but that’s up to you. How thin you slice your fruit is a matter of preference. Just be aware that the smaller each piece is cut, the faster it will dehydrate. Thus it’s important to slice each type of fruit into pieces of equal size so that they’ll finish at the same time. A good rule of thumb is to slice each piece 1/4″ to 1/2″ thick. Spraying your sliced fruit with lemon juice simply keeps it from turning brown. This won’t change the flavor but will certainly make the fruit more visually appealing. Most dehydrators have multiple racks. Place the fruit in one layer on each rack. Keep each kind of fruit on different trays, and place fruits that are more likely to drip on the bottom rack to keep them from dripping on the other fruits. Each manufacturer should include instructions for operation. If you don’t have the manual, go ahead and set the temperature between 125 and 140 degrees. 125 will dehydrate the fruit more evenly, but 140 will get the process done faster. Depending on the size of the slices, the fruit will require between 6 and 30 hours to properly dehydrate. But resist the impulse to start eating right away. For best results, give it time to cool and become crisp. The best way to package your dried fruit for storage is in resealable bags or glass jars at room temperature. Leave for a full week at room temperature, shaking gently once a day. If you notice any condensation in the bag or jar, put the fruit back in the dehydrator. Once all the condensation is gone, it’s ready to store. Making dried apricots, blueberries and other popular fruits at home is easier than you probably imagine. Dry fruit is delicious and healthy, making it the perfect snack for home, school, or out on the trail. Click here to learn how to protect your food from animals while backpacking.